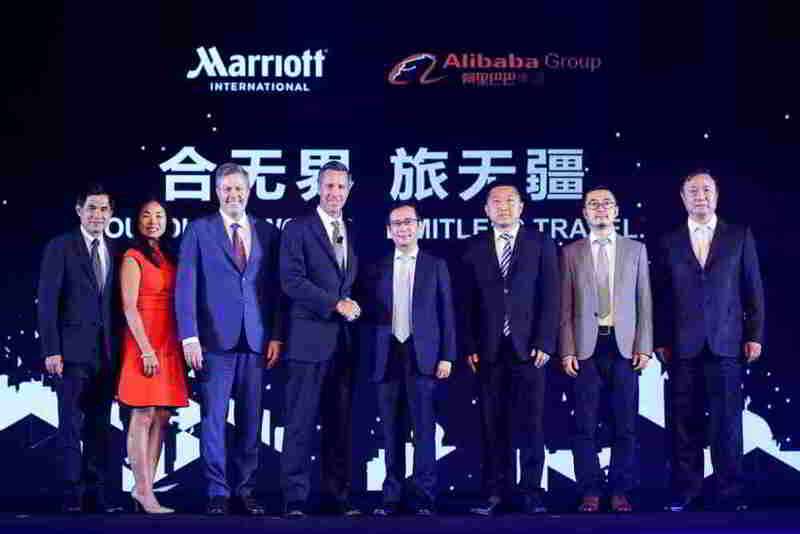 Marriott International and Alibaba Group announce innovative joint venture. HONG KONG – August 7, 2017 – Alibaba Group Holding Ltd. (“Alibaba”) (NYSE: BABA) and Marriott International, Inc. (“Marriott International”) (NASDAQ: MAR) today announced the establishment of a joint venture to redefine the travel experience for the hundreds of millions of Chinese consumers traveling abroad and domestically every year. The joint venture will leverage Marriott International’s global portfolio of brands and unparalleled hospitality expertise to revolutionize the travel experience as well as Alibaba’s digital retail leadership and its role as a gateway for international brands to reach over 500 million mobile monthly active users across its platforms. Drawing on resources from both Marriott and Alibaba, the joint venture will manage Marriott’s storefront on Fliggy, Alibaba’s travel service platform. It will also market directly to Alibaba’s customer base, provide a link between Marriott’s loyalty programs and Alibaba’s loyalty program, and support Marriott hotels globally with content, programs and promotions customized for the Chinese traveler. As incomes rise, China’s middle class is looking for higher quality products and travel experiences. This new venture is designed to satisfy consumers’ expectations for seamless, integrated, personalized, and convenient travel solutions that connect travelers directly to Marriott’s portfolio of international hotel brands. The travel industry is an important growth opportunity as China’s travelers are expected to take an estimated 700 million trips over the next five years. Marriott’s owners and franchisees globally will benefit from the joint venture by capturing a greater share of this growing Chinese travel market and lower distribution costs associated with the joint venture. Making Global Travel Easy: The joint venture will provide newly-integrated functionality to make the entire travel experience truly frictionless from planning, booking, paying and managing a trip to all of the activities associated once at the destination like shopping, dining and sightseeing. The joint venture will deliver userfriendly technology solutions that will open up a world of travel options for Chinese consumers. Personalized and VIP Experiences: The joint venture will leverage technology to curate customized experiences for Chinese consumers. Marriott will offer access to private concerts, family-focused experiences, and court-side seats at sporting and other events through its Starwood Preferred Guest (SPG) Moments and Marriott Rewards Moments programs. Eligible members from Alibaba’s loyalty program will benefit from personalized hospitality programs and Marriott’s award-winning SPG ambassador program. Wallet-free Travel: Alipay will be accepted at Marriott hotels in select global markets with further expansion expected around the world. 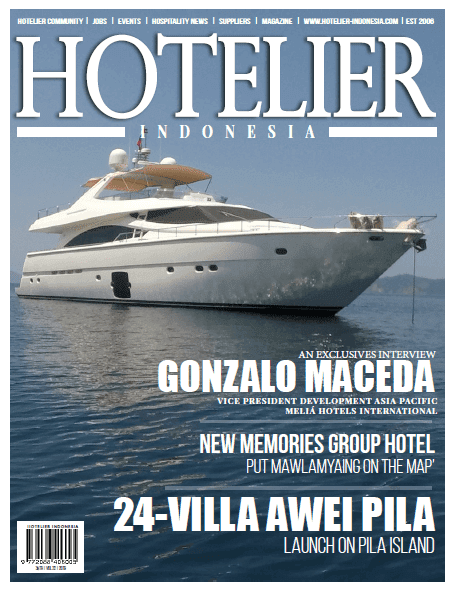 Next-Gen Loyalty: Connecting Marriott’s award-winning loyalty platform – Marriott Rewards, The Ritz-Carlton Rewards and SPG – with Alibaba’s large-scale consumer reach will establish a new benchmark for the next-generation loyalty program. In addition, in celebration of Alibaba’s Members day on August 8, Alibaba members will be able to enroll in one of Marriott’s loyalty programs - Marriott Rewards, The Ritz-Carlton Rewards or SPG - and book exclusive Member Rates through one of Marriott’s digital channels, beginning immediately. Special offers will also be available only on August 8 for members on marriott.fliggy.com. Note on Forward-Looking Statements: This press release contains “forward-looking statements” within the meaning of U.S. federal securities laws, such as the estimated fiveyear growth figure for Chinese outbound travel and the anticipated benefits from the joint venture. These statements are made under the “safe harbor” provisions of the U.S. Private Securities Litigation Reform Act of 1995. These forward-looking statements can be identified by terminology such as “will” and “expect” and similar statements. Forwardlooking statements are not historical facts, and involve inherent risks and uncertainties. A number of factors could cause actual results to differ materially from those contained in any forward-looking statement, including in this case the risk that a new program such as this joint venture may not be successful or fully achieve the objectives of the participants. Further information regarding these and other risks is included in Alibaba Group’s and Marriott International’s filings with the U.S. Securities and Exchange Commission. We make those statements as of the date of this press release, and we undertake no obligation to publicly update or revise any forward-looking statement, whether as a result of new information, future events or otherwise, except as required under applicable law.